Getting arrested for a DUI in California is a terrible experience. The sentencing includes mandatory penalties including a suspended driver’s license, fees, fines, DUI School, and even possible jail time. While California law harshly penalizes people charged with drinking and driving, in some cases, a driver may actually be charged with a federal crime if the DUI occurred on federal property. In most cases, driving under the influence (DUI) in California will result in state law prosecution and penalties. A DUI on federal property may invoke federal law, which will involve federal prosecution, and possible time in a federal penitentiary. It may seem unlikely that a driver will end up on federal land or property, but there is federal property all over California, sometimes right in the middle of our major cities. If the DUI occurred on National Park property, then the Code of Federal Regulations will apply. If it occurred on other federal property, then federal law would apply California penalties. See 36 CFR 4.23 – Operating Under the Influence of Alcohol or Drugs. Although there are consequences to refusing a chemical test after being arrested for a DUI under California law, there are some differences in Federal enforcement. There is implied consent to submitting to a chemical test under both laws, however, under federal law; refusal to submit to a chemical test is actually a misdemeanor crime. If your DUI arrest occurred on federal property, you will be charged with a federal crime and prosecuted by a U.S. District Attorney in a federal courthouse. There is no right to a jury trial for most federal DUI violations. Even though it is punishable by possible jail time, it is considered a minor crime. This means the DUI trial will be before a federal judges, and not by a jury of peers. The U.S. Code provides that crimes, including a DUI, that occur on federal lands be enforced as federal law, but apply the applicable state laws. In these cases, a federal DUI in this state would apply California DUI laws, but the case would still be tried as a federal crime in a federal court. National Park DUIs are governed by the Code of Federal Regulations. Under the CFR, it is unlawful to operate a motor vehicle under the influence of alcohol or drugs, with a presumptive violation if the driver’s blood alcohol content (BAC) is 0.08 percent or greater. The more restrictive limits for underage drivers (0.01%), and commercial drivers (0.04%) also apply under federal law. See 18 U.S.C. Section 13 – Assimilative Crimes Act. Penalties for most federal DUIs are the same as California DUI penalties. For a first time DUI, this includes up to six months in prison, California driver license suspension, fines, fees, DUI School, and possibly installing an ignition interlock device in the vehicle. However, National Park DUIs could include up to six months in prison, and fines of up to $5,000. Subsequent DUIs and any DUI involving injury or death could include additional penalties. Any jail sentence for a DUI occurring on federal property has to be served in a federal prison. Where as a state DUI jail sentence could be served locally, federal prisons are much more spread out across the state, and may be far away from family and friends. If a civilian (non-military) driver is arrested for a DUI while on military property, the military police will turn the case over to federal prosecutors. The federal prosecutors will apply California DUI laws, as above. However, if military personnel are arrested on military property, their case will be handled by the military justice system. Whether you are facing federal or state DUI charges, you may have many possible legal defenses available. 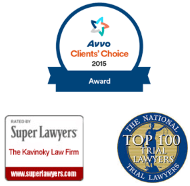 Each case is unique and your Kavinoky Law Firm DUI lawyer in Walnut Creek and 10 other locations will be able to identify the best strategy to win your case in federal court. Your DUI arrest does not have to end in a DUI conviction. If you have been charged with a DUI on federal or national park property, your experienced California DUI attorney located in Encino, CA and 10 other locations will fight for your rights, so you don’t face a DUI alone.